On the rugged frontier worlds of the galaxy, vehicles like speeder bikes endure harsh elements and are overworked with little down-time for maintenance. This Mobquet Zephyr-J model has had most of its unneeded bells and whistles stripped off to be functional above all else. Pretty awesome! 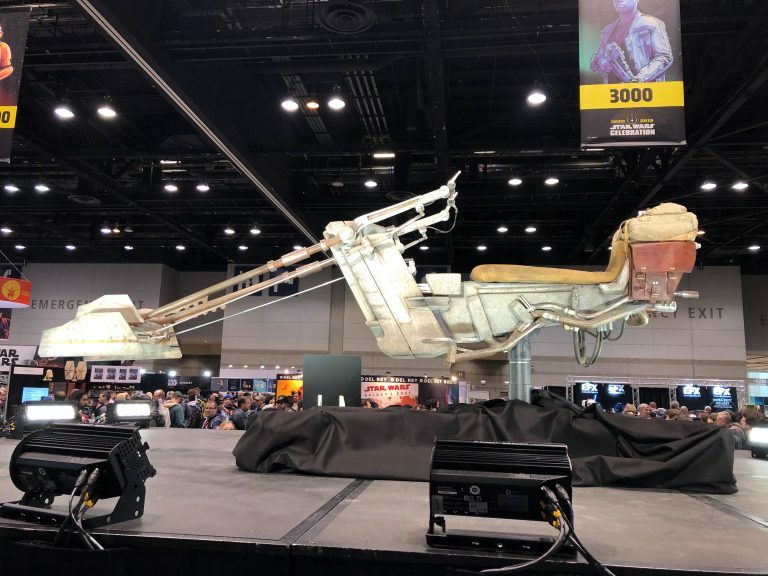 What do you think of the new speeder bike? What would most excite you most to be able to see at Star Wars Celebration?